A board has several lists with tasks. All tasks in one list has the same status. You can easily drag and move a task from one list to another = change status of the task. 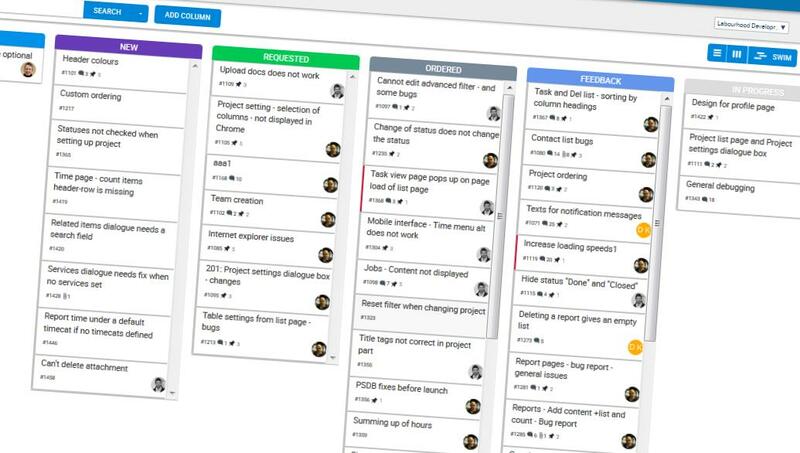 Split the board into swimlanes and find all your top priority tasks, or view the workload in your team. Some prefer to use old school style lists. They will love Labourhood. and decide what you want to see. Drag the items in the list to set a custom order - perfect when you want to have full control over in which order tasks are done. Lists are good for mass operations - assign or change priority of several tasks in one go.